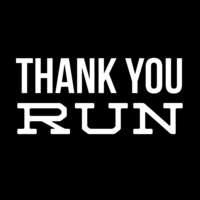 The Thank You Run is coming to Sedro-Woolley on Saturday, March 4th. All proceeds will benefit Sedro-Woolley High School. The race will begin and end at Sedro-Woolley High School. Feel free to wear your current school's colors or your alumni colors. Packet Pick Up, ID Required. Registration will take place in the "mat room" at SWHS. The mat room is located inside the stadium. Signs will lead your way. There will be hydration stations located alongside the course which includes water and medical support. There is no time limit but we do ask that walkers only do the 5K. The 10K is only for runners. Parking: Please park at the Sedro-Woolley High School parking lot. What to wear: Any school gear from your current school or where you are an alumni of would be most welcome. What to look out for: Please look out for traffic and stay on the course. Signs should point you in the right direction. Why didn’t I receive a t-shirt? Several registrations indicated a t-shirt size without ordering a t-shirt. T-shirts were an additional $10 and not included with the standard registration fees. Can I push my child in a stroller for the Kids Fun Run? Yes. Can I just walk in the 10K? No. The 10K is for runners only.